Tim Fleischer reports that Comello's attorney blames hate speech for murder of mob boss. ST. GEORGE, Staten Island (WABC) -- The 24-year-old man accused in the murder of reputed Gambino family crime boss Francesco "Frankie Boy" Cali appeared in court in New York City on Monday. Anthony Comello's attorney claimed his client is a right-wing conspiracy theorist who was influenced by online hate speech. Attorney Robert Gottlieb also pointed the finger at politicians and even President Donald Trump, saying Comello radicalized through the QAnon conspiracy theory "and other right wing conspiracy web sites, hate words that have been spewed by citizens, including politicians, including right at the White House." "Words matter," he said. "Hate words matter." 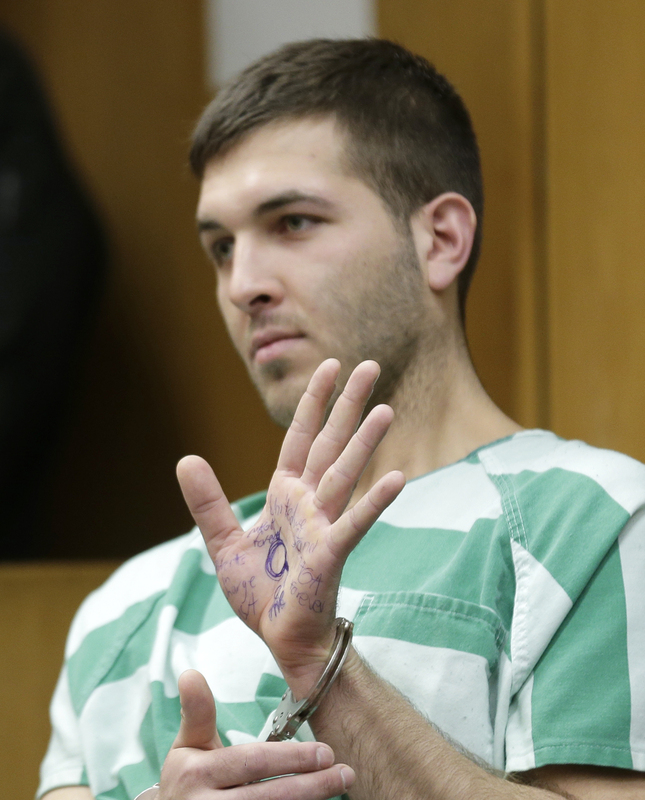 Comello appeared in court in New Jersey last Monday wearing a green and white jumpsuit and had handwritten pro-Trump slogans on his palm, which he held in the air while waiting for the hearing to begin in Toms River. On it were scrawled pro-Trump slogans including "MAGA Forever," an abbreviation of Trump's campaign slogan "Make America Great Again." It also read "United We Stand MAGA" and "Patriots In Charge." In the center of his palm, he had drawn a large circle. It was not immediately clear why he had done so. Gottlieb said Comello intentionally showed his hand with scrawlings indicating the far-right conspiracy theory. "That was real," he said. "That was real. That was what he wanted to express that day. It is not, when I raise the issue of the internet, the hate that is on the internet. It was not just to raise a potential defense." Gottlieb requested his client be placed in protective custody, saying both he and his family are in real danger. But he would not discuss why Comello allegedly targeted Cali and indicated Comello may testify before a grand jury. Sources have previously told Eyewitness News that Comello was dating Cali's niece, a relationship Cali did not support. Comello was extradited from New Jersey around midnight Monday, driven back to Staten Island and booked around 4 a.m. Within hours, he had been quietly moved to court for arraignment on murder charges. Security was tight at the Staten Island courthouse, with officers stationed outside the building, in the parking garage, and on the roof of the building. Judge Raja Rajeswari arraigned Comello and ordered him held without bail. Comello had been held in Ocean County since last Saturday morning when he was taken into custody at his family's summer home in Brick. Cali was gunned down in front of his Staten Island home after a car accident that investigators believe was staged to lure Cali from the house.